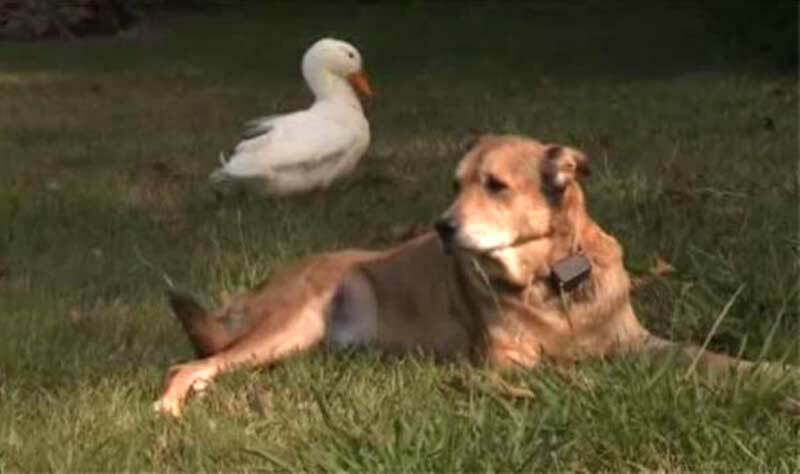 A duck has become an unlikely source of relief for a dog in Corryton, Tennessee, who had been grieving the loss of its canine friend. George the dog lost his best friend, Blackie the lab, two years ago this week. Since then, he's been very depressed. Jacquie Litton says, "He's almost died twice. He doesn't eat. He starves himself, and he has anxiety. He has a multitude of skin conditions from chewing on himself." This past Monday Jacquie went and looked out her back window. She noticed there was a stranger on her back porch. 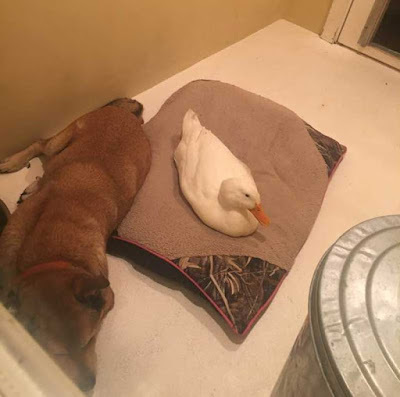 It was a duck who hasn't left George's side since. George spends his days by the duck, he let's the duck sleep on his bed and even allows the duck to rest his bill on his leg. Jacquie says, "George loves him. It's his buddy. He's been real nice to him. He says he doesn't eat my food and he sleeps with me." The white duck has brought some peace to George who used to be very lonely. 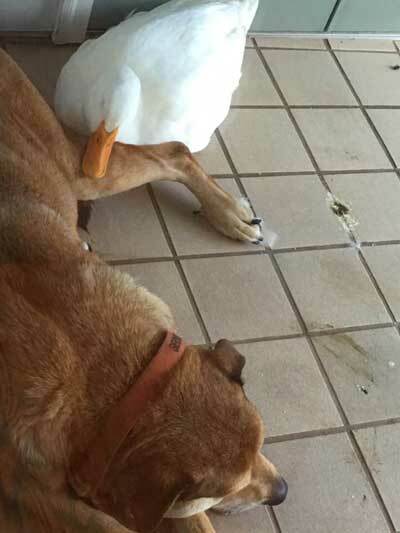 Jacquie says, "Since the duck showed up, he's been okay. He hasn't whined." There's some adjusting going on in the home. 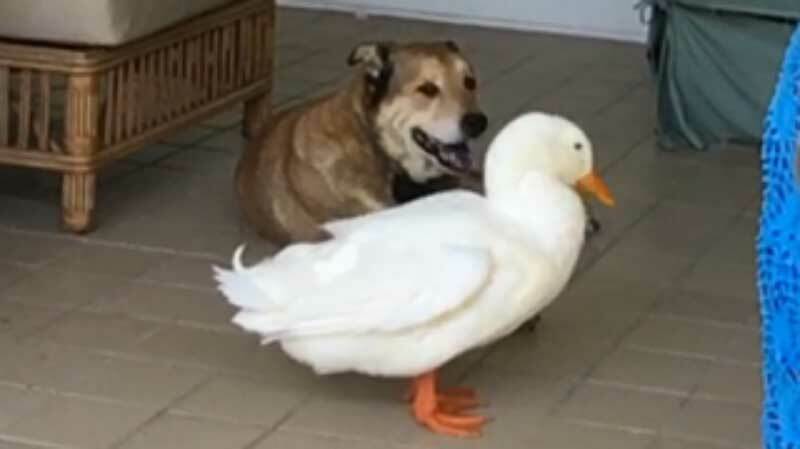 They're dealing with duck droppings in a home where cleanliness is paramount, and they're going to have to upgrade the bird bath to a bigger tub. Jacquie's just glad George is finally happy. Jacquie says, "They're totally different species and they found company and comfort in each other." Awww. I love stories like this. No, that's not a tear in my eye. It's allergies. Yes, allergies.